A decade ago, you might have complained that The Sims 2 had turned the PC games charts into a permanent expandaland. But a comprehensive version of the game might be exactly what you’re looking for today, on the eve of a Sims without swimming pools or toddlers. Boot up Origin this afternoon and you can be adding Maxis’ finest hour of the 21st century, stuffed with Stuff Packs, to your library for free. 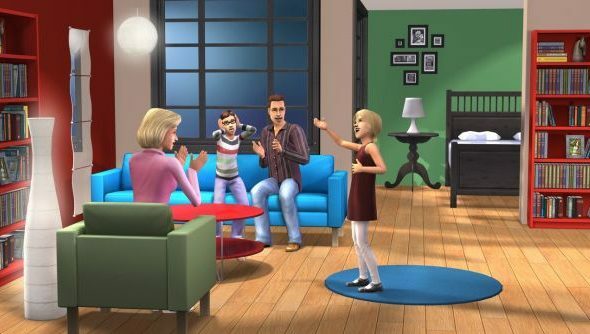 EA and Maxis officially ended support for The Sims 2 last week – not unreasonably, given its age. By way of compensation, they offered to upgrade digital copies of the game to its Ultimate Collection, which includes every one of the game’s expansions and Stuff Packs. Problem was, The Sims 2 was released just a year after we were grudgingly introduced to Steam via Half-Life 2 – hardly the golden age of digital distribution. And the game has never been on sale through EA’s relatively recent Origin platform. Players with boxed copies of The Sims 2 reported success negotiating Origin keys with EA support – but this week the publishers have introduced a much simpler solution. Any Origin user can now add The Sims 2: Ultimate Collection to their library by selecting ‘Redeem Product Code’ under the Games tab, and entering the mantra ‘I-LOVE-THE-SIMS’. The eight proper expansion packs are consistently excellent, despite the handover midway through from Maxis to a newly formed Sims Studio. The ten Stuff Packs are, shall we say, non-essential. What do you remember best about The Sims 2? You’ll recall that character creation allowed for extreme manipulation of the extremities, which was always fun.